Thank you for visiting our Internet site. 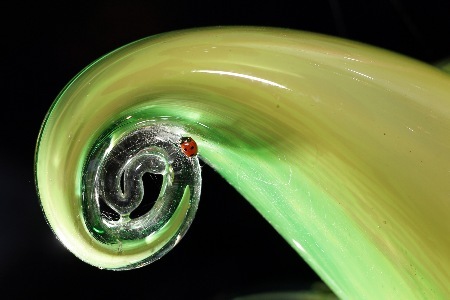 This is the official website of International Glass artist INGRID PEARS MBE. As an up-to-date business, we want to give you the opportunity to stay in touch with our company. We are making every effort to present you with Ingrid Pears' most up-to-date glass portfolio as new things are being created. 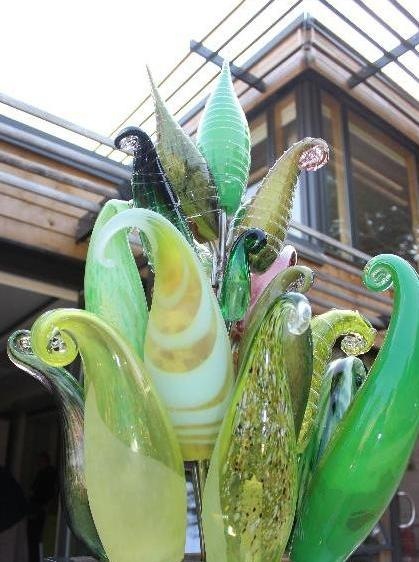 The emphasis of our site is to provide an extension of our studio in the UK based at www.thoresby.com in order enable a world-wide audience to experience our glass designs and see pieces being created if you are close by why not pop in and see us in action first hand. Ingrid Pears M.B.E. takes Barbados by storm. Our new area of influence and trade is the Caribbean, concentrating on the Islands of Barbados and St Lucia. We are currently creating new works of art with a Caribbean flavour - adding new rich bold colours influenced by Bajan life from the happy, welcoming islanders to the rich, beautiful island itself. The Caribbean is going to be a constant area of influence from now on. St Lucia is our next trade venue, showcasing our glass designs on this lucious green island paradise. 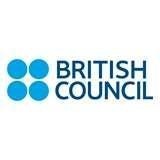 The Department for International Trade to promote UK excellence internationally. At the beginning of February 2015 Ingrid embarked upon a UK Trade & Investment trade mission to South East Asia and the ASEAN (Association of South East Asia Nations) markets concentrating mainly on Singapore and Malaysia, working alongside UK Trade & Investment to promote UK excellence internationally in her role as a CATALYST. Singapore is the UK's largest trading partner in South East Asia. Ranked first globally by the World Bank in terms of ease of doing business. Ingrid returned to Singapore after spending time there researching as part of the G3 programme (Gateway to Global Growth) and linked in two British High Commission receptions whilst in market. The UK is one of the largest investors in Malaysia, investing over £20 billion in the last thirty years. Ingrid aims to set up new trade links there and find new partners to trade with. 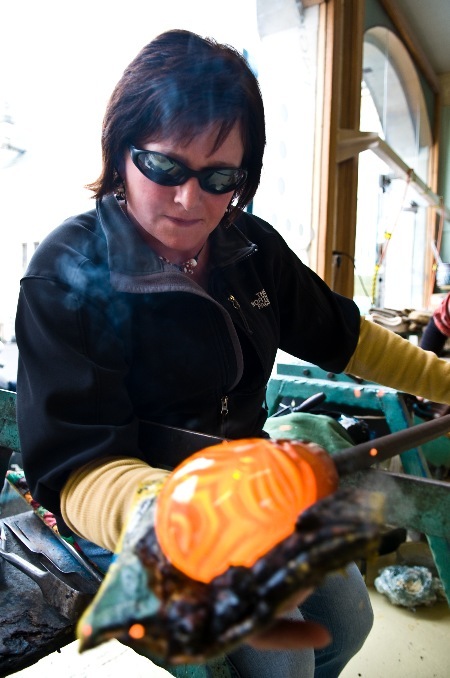 Showcasing her glass portfolio, high-lighting her large sculptural pieces. The Oil Patch Warrior - Sculptured by Ingrid Pears MBE, in steel, fibre glass, resin and glass. 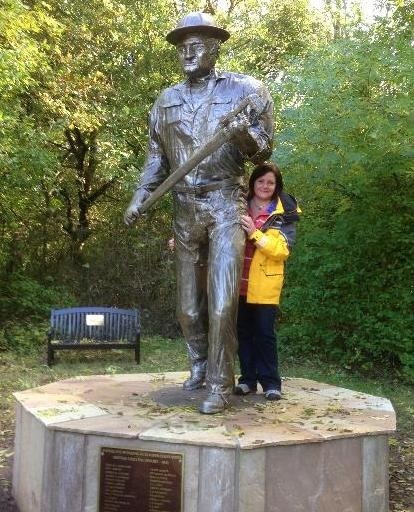 Commissioned by the trustees of Dukes Wood Oil Museum, Unveiled by The Lord Lieutenant Sir John Peace at Earls Wood Eakring on 30 September 2014 in the presence of the families of the oil workers from Oklahoma, USA. Ingrid is delighted to announce that she has been invited to become a member of CATALYST UK, an invitation only, high profile global network of business leaders who work with the British Government, UK Trade & Investment (UKTI) to promote UK excellence internationally. 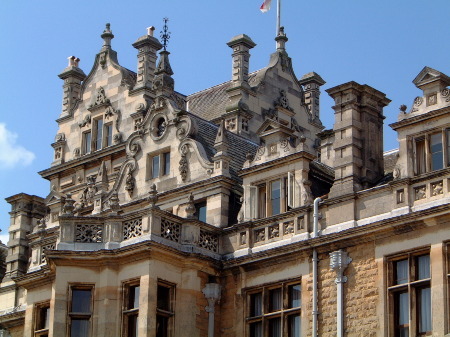 The group comprises of influential business figures established in international markets, who are supporters of the UK as a place to do business. Catalyst UK is managed by The Ministerial & Strategic Engagement Unit (MSEU) which was established in September 2013 to drive a strategic approach to cross-Whitehall Ministerial and business engagement in trade and investment priorities, in support of economic growth. NEW SCULPTURE UNVEILED, INGRID WAS COMMISSIONED BY THE DIOCESE OF SOUTHWELL AND NOTTINGHAM JULY 2013 TO CREATE A FREESTANDING OUTDOOR ART PIECE FOR JUBILEE HOUSE. International Design Trade Mission in Mumbai. Ingrid Pears MBE In partnership with The British Contract Furnishing Association, UKTI and the British High Commission in Mumbai. India has a huge trust and respect of British and European high end quality brands. There is a strong demand to be able to represent the very best of international brands alongside well respected Indian craftsmanship and design both in the contract and residential sector. 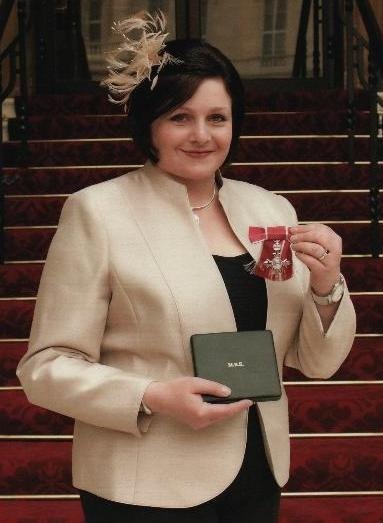 Ingrid is awarded an MBE by the Queen in the New Year Honours list 2012 for her services to Business Export. "I am thrilled and delighted by the news, I still cannot quite believe that it is true. I feel proud to receive such an accolade and to represent Britain overseas"
Ingrid was invested at Buckingham Palace on 29 February 2012 by His Royal Highness Prince Charles the Prince of Wales. Photograph - Ingrid holding her MBE in Buckingham Palace. 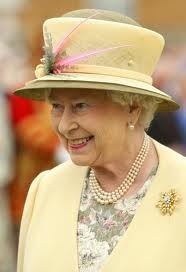 Tea with the Queen! After securing an International Business Award and successfully completing a trade mission to India (where Ingrid exhibited her bespoke glass pieces in New Delhi before travelling into the Himalayas to a pilgrim resting place) was on return invited to Buckingham Palace for a Royal Garden Party. Ingrid WINS an International Business Award for 'Established Exporter 2010' (BRIC category, Brazil, Russia, India & China) from UK Trade & Investment. Ingrid showing her unique glass designs to Dr. Vince Cable, in New Delhi. 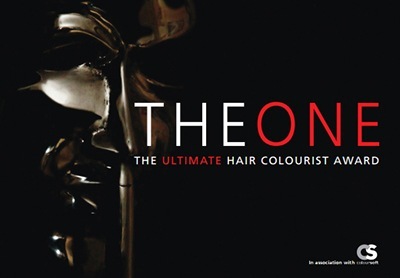 The One Sky Project was the first ever creative industries trade missions to India set up by Ingrid Pears. It was a unique exchange of cultures. A group of very different and diverse British artists based around Sherwood Forest in Nottinghamshire took their skills and their work to display in India. The aim of the project was to begin a globalisation of creative industries, in a two-way exchange. New markets continue to open now for British artists in India and for Indian artists in the UK. The artists were also inspired by the contrasts in culture, landscape and artistic traditions, providing a rich source of inspirational material as well as opening many trading doors. 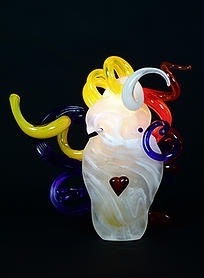 Ingrid Pears glass artist is commissioned to make unique piece for his holiness the Dalai Lama and finds herself working in the Himalayas. 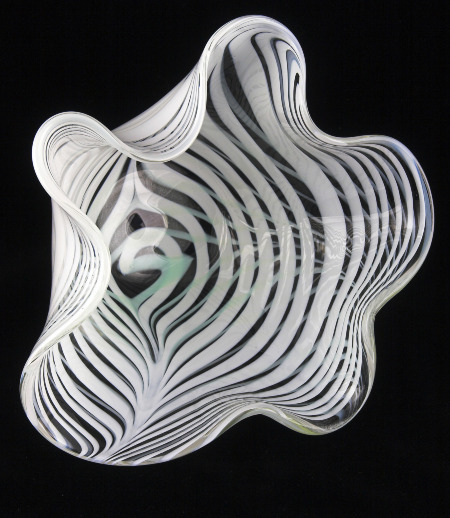 In brief, you should know the following about us: our company was established in 1999 and has been responsible for providing outstanding design led, crystal glass pieces ever since, from vases and paperweights to sculptural glass art. 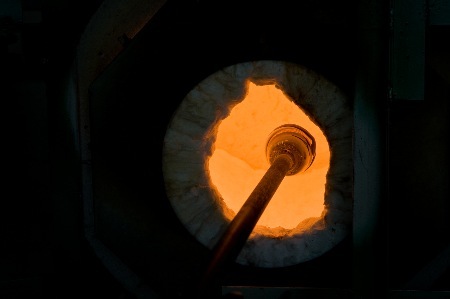 Our specialty is in the area of blown glass, but we offer all types of glass from; kiln work to glass engraving. Our regular customers particularly value our ability to make their pieces of glass whilst they watch their piece being created. 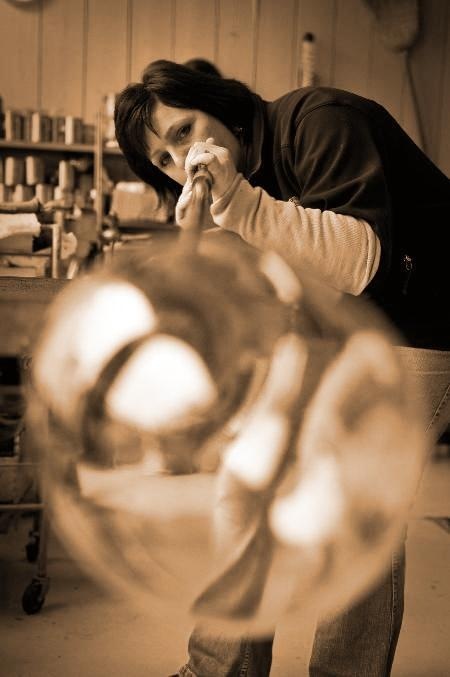 Why not come to our studio in the heart of the rolling landscape of Thoresby Park and have your own piece of glass made? If you are further away, watch it being made on line and have it posted to you! 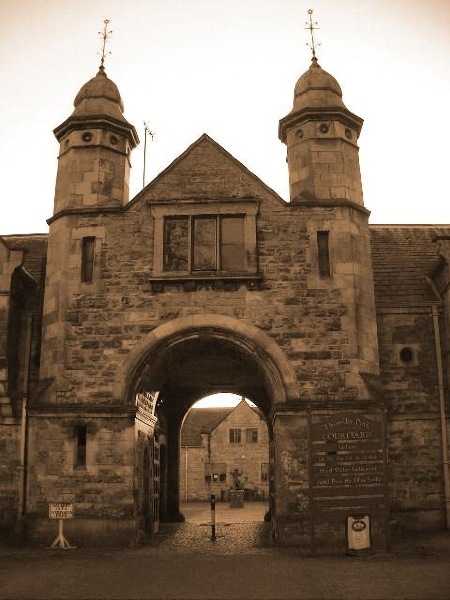 THE OLD COACH HOUSE, THE COURTYARD, THORESBY PARK, NEWARK, NOTTINGHAMSHIRE. NG22 9EP UK. 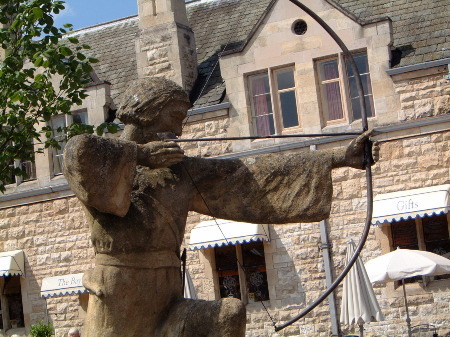 Robin Hood Statue in Thoresby Courtyard. White and clear Venitian striped Wavy bowl.